But expert says KiwiSaver members must avoid "knee-jerk" reactions to market dips in 2019. Many New Zealanders don't realise they are sitting on a "bit of a gold mine" and should avoid "knee-jerk" reactions to fickle global investment markets, according to a KiwiSaver expert. Joe Bishop, General Manager of Customer, Product & Innovation for Kiwi Wealth, says that analysis refers to KiwiSaver investors anxious about volatile global markets in 2019 – and includes the 400,000 KiwiSaver members who are still in poorer-performing default funds. "For most people, KiwiSaver is the biggest investment – other than the family home – they will make in their lives," he says. "For just over a decade since the global financial crisis (GFC), they have had a great ride as market performance has been stable and upward; they have only ever seen balances going up." Now, with the forecast for 2019 more volatile and with some members experiencing downward movements in their balances in parts of 2018, nervous investors may be considering pulling their money out. Don't, says Bishop: "It's a common mistake for relatively new investors. Those with a bit of experience know that markets are often volatile and that the best course of action is to keep focused on your goal, that long-term horizon you are aiming for." 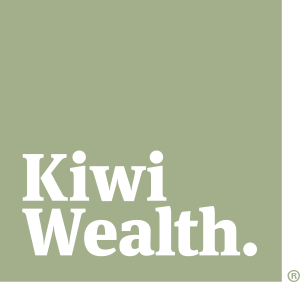 Kiwi Wealth is the largest, wholly locally-owned KiwiSaver provider with over 200,000 members, all advised one of the worst things investors can do is to quit their fund when it has lost money. That action simply confirms the loss – whereas if an investor stays with their fund long term, it will recover. "What we are heading back to is 'the old normal'. That's the normality of markets – they vary up and down. With KiwiSaver, when balances were small, employee and employer contributions masked any corrections. But now the balances are much bigger, people can see the downward movement. To them the message is, 'don't panic; hold firm'." Volatility means opportunity too, he says, with KiwiSaver providers who work hard as active managers dedicated to seizing such opportunities. Some fund managers have simply diverted investment funds into cheap index funds: "They just go up and down with the markets – fine when things are stable, as they have been for the past 10 years or so, but not when things get more difficult. That's when you want your fund manager making important decisions to help you," says Bishop. KiwiSaver members had a role to play themselves – by setting a goal; making sure they were in the right fund for their stage of life and that long-term goal; seeking good advice; and tracking investment performance. The fact that about 15 per cent of all 2.7 million KiwiSaver members are still in their default fund (the randomly chosen fund if members do not specify a provider) is another example of how KiwiSaver members can benefit from taking an active interest in their account. Bishop says some simple maths show the difference active interest and management make. For example, a 30-year-old earning $60,000 per year with a current KiwiSaver balance of $18,000 (roughly market average) would retire at 65 with a balance of $221,000 if he or she stayed in the default fund and continued to contribute at 3 per cent. If the same person moved to a Growth Fund, perhaps more appropriate for the time horizon, and contributed at 4 per cent, he or she would have a balance of $312,024. "A small investment of a few minutes of time can lead to a 40 per cent increase in retirement income - that's a bit of a gold mine. "The difference is even more pronounced if that person can afford a contribution rate of 8 per cent as that would see the projection rise to $470,864, a 112 per cent increase," says Bishop. "Obviously not everyone is able to afford a 3-8 per cent jump which is why it is great that legislative changes from April 1 are introducing new contribution rates including 6 per cent, a more manageable increase, and 10 per cent (for those who can afford more)." Bishop says Kiwi Wealth's Future You feature can project future KiwiSaver earnings and help people set a goal for retirement funds. There is often a gap between projection and goal which can be closed by deciding if they are in the right fund or making the right contributions. "Setting a goal and understanding your correct risk profile reinforces that KiwiSaver is a long-term investment and a focus on the long term," he says. "That way people are less likely to have a knee-jerk reaction to short-term volatility which can be costly and move them further away from the vision of their retirement. "KiwiSaver is about the long game; those sticking to a plan will always be better off."